The former NFL vet and Atlanta Falcons player is holding a banquet dinner that brings fathers and their sons together. 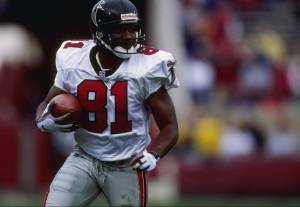 Former NFL Pro Bowler and Atlanta Falcons player, Terance Mathis is holding a special event catered towards fathers and their sons. The banquet will be Thursday February 7, 2019 from 6:30- 8:30 PM in the auditorium at Pinecrest Academy in Forsyth County, GA.
Mathis will host the banquet along side Pinecrest Academy Varsity Head Football Coach. Ticket holders will get a chance to meet Terance while enjoying an Italian dinner, and hear the NFL veteran speak about "Leadership On & Off The Field."